The light crane system has become an important part of the future of modern lifting equipment, that’s why Cranes Systems supply light cranes to Melbourne, Sydney, Adelaide and throughout Australia. Our light cranes are available with capacities ranging from 50kg to 2000kg, and varied configuration to suit the specific application including: free standing, ceiling mounted, monorail and jib cranes. The light crane system is based on a steel profile track construction with various profile sizes depending on capacity. 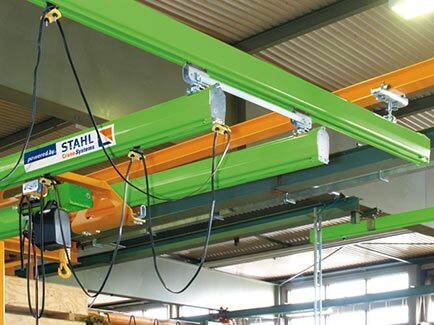 An ideal lightweight choice for manufacturing and assembly work stations, the light crane system functions easily and smoothly requiring little effort. We offer our clients in Melbourne, Sydney and Adelaide cranes for sale, including various light crane systems. 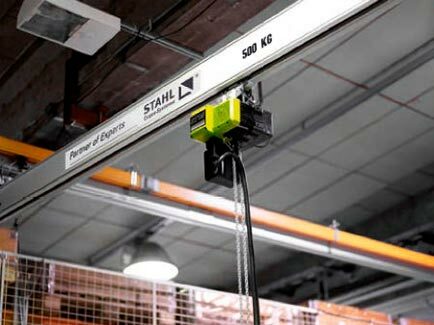 A proud partner with Stahl Crane Systems, get a quality Stahl light crane for sale at fantastic value for money.